This little charmer is way too cute to lose. A bird on a mission. Sometimes it’s hard to muster a lot of concern about endangered species. I know that’s not a nice thing to say. They are all important: each blade of grass, each jumping insect is part of an endlessly complex network of living things, and we humans who sit at the top of the food web depend on all of them, ultimately. “When you tug on a single thing in nature, you find it attached to the rest of the world,” as John Muir so aptly put it. With so many less-than-charasmatic species needing help, it’s easy to see why the people who champion endangered species tend to pick a select few as the movement’s poster children. The peregrine falcon, the giant panda, the polar bear, the Siberian tiger… now those guys have star quality. With that in mind, I would like to propose Canada’s next charismatic spokes-critter—a tiny bird that, based on my recent encounter with one at White Point, Nova Scotia, has everything it takes to melt the public’s heart: the piping plover. This teeny, teetering two-legged wonder seems perfectly poised to stir the public’s sympathy, and I suggest the time to do so is now. The piping plover is in a bit of trouble. I hadn’t expected to make its acquaintance. I was visiting White Point Beach Resort on assignment for Toque and Canoe, Canada’s online travel mag, and somebody had signed me up for two hours of stand-up paddle boarding. As I thrashed about the lagoon with my instructor, we passed by a rocky bit of beach strangely cordoned off with rope. Small signs warned the public away; this was critical nesting habitat for a very special bird. I knew right away who was being protected here, judging by the bleak mix of sand, gravel and rock exposed to howling winds right next to salt water. Very few birds would call this home, but it was the perfect spot for piping plovers. One of the first things I noticed was that my little subject had a classic plover behaviour: a strange bit of footwork called the foot-tremble. I still don’t really understand it. It’s a thing that plovers do while foraging for food (which for this little plover consists of small marine worms, insects, crustaceans… that great buffet of protein-rich treats that inhabit the sandy intertidal zone of our Atlantic beaches.) As it runs along the beach, racing the incoming waves back and forth, it stops, freezes, and then extends one leg forward, tap-tap-tapping the wet sand at high speed. Then, if it’s lucky, it stabs its tiny beak (oh, that cute beak) down into the sand and reaps its reward. Other scientists have noted the foot-tremble, and the best anyone can figure is that it serves to scare up prey, or perhaps disorient the prey for a moment. Regardless, it seemed to be working for my little friend—I watched it successfully grab dozens of invertebrates and gobble them down. For a moment I thought it must be gathering food to take back to its nest, but then I remembered that plovers don’t need to do that. Their babies are precocial, meaning they’re able to run and forage for themselves right after hatching. Plover nestlings are mobile and fluffy and adorable, like ducklings, rather than being all naked and helpless and icky like baby robins. Getting ready to do a little foot-trembling. Which led to my next question: where were the young ‘uns? I didn’t approach the cordoned-off nesting area to find out, but I have two theories, one pleasant and one not so much. Perhaps the nest was lost due to predation or flooding, and this bird was simply fattening up to make the journey south again. But they don’t give up easily at this time of year, and if they lose one clutch of eggs will generally try again. So I suspect my bird on the beach was actually half of an active couple, having left its better half at home while it took a much-needed feeding break. Actually, it’s quite possible that my bird was a female who had abandoned her family altogether. They do that sometimes. 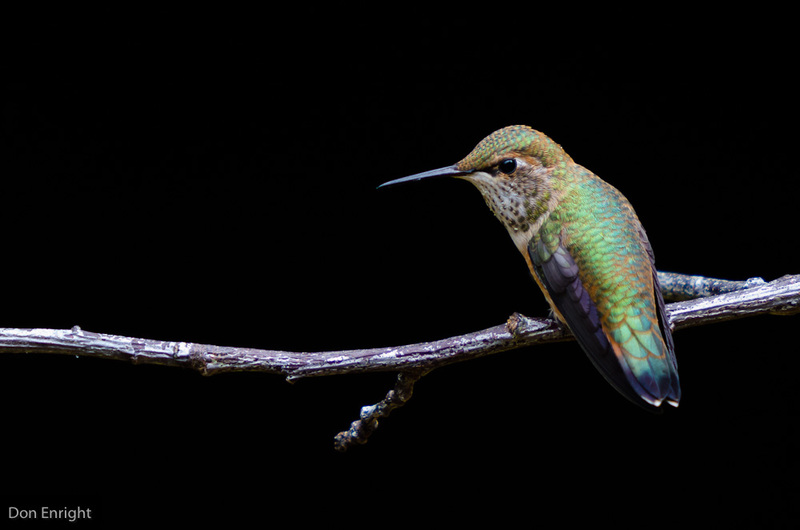 It sounds harsh to think of her taking off and leaving her mate to care for the wee ones. But her work is largely done once the eggs have been laid and incubated. Once the chicks are up and about, the male takes over as the principal care giver, and sometimes the female simply moves on, leaving her capable mate to the task. I hope that was the case here. I grew quite attached to my little friend in the few minutes I spent with it, and I wish it every success on its wind-swept home there along the beach. 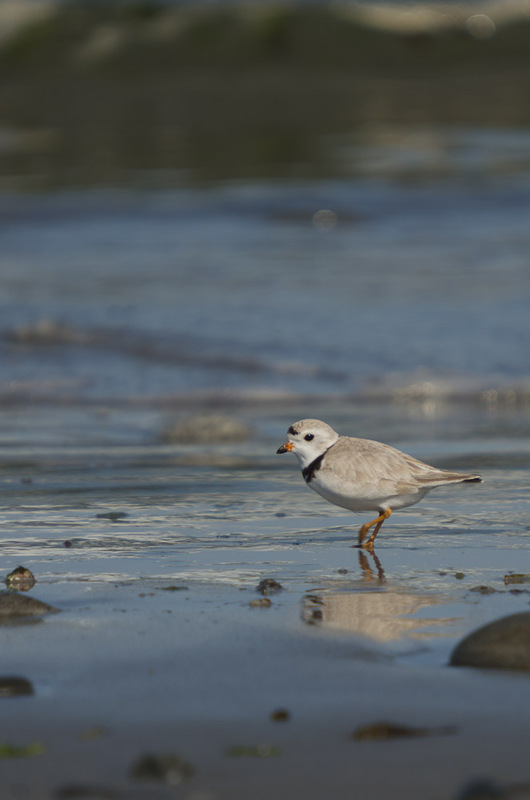 Piping plovers are having a tough time of it, and are now officially endangered in Canada. 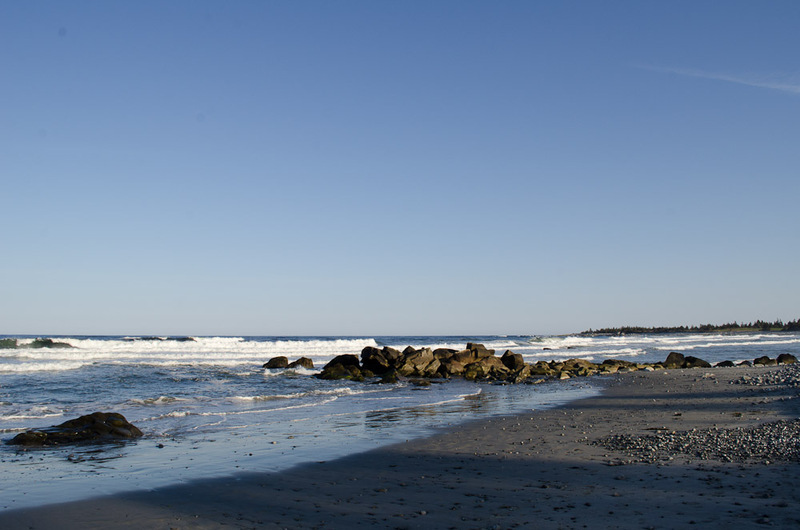 Their nesting requirements are very specific, and unfortunately the beach-front properties they need are also quite attractive to people, off-leash dogs, and off-road vehicles. They also have a tough time on their wintering grounds along beaches in the southern US; many young birds from Nova Scotia simply don’t make it back. There is hope for my little friend, though. 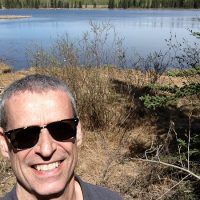 Farming practices have changed somewhat on the prairies, and here in Nova Scotia, efforts to educate the public, and to protect their immediate nesting areas with rope and signs, seem to be paying off. The last few years have seen a bit of an increase in their numbers. Here’s hoping the good people who dedicate their time to protecting the piping plover, and other species at risk, have the resources they need to continue their work in the years to come. Posted in Eastern Canada/US, Ports of Call, Wildlife and tagged bird, Nova Scotia, piping plover. Love this delicate, poetic piece Mr E. It's like the bird. Beautiful. Thank you so much, Fran. Glad you enjoyed it. I really enjoyed your article, very good writing and a subject very important to us here at White Point. I am one of the plover “caretakers” and like you, I am fascinated with these little creatures. They are such delicate little things but are so extremely tough as to be able to survive on windswept beaches and make the arduous journey to their southern wintering grounds. I want to tell you that our nesting pair and four fledglings had a successful stay at White Point in 2014 and because we did have five of our six birds banded for research, two of our chicks were spotted in much warmer climates this winter;one in the Bahamas, at a resort and the other in Cuba. We were so excited to hear the news! The researcher who identified our chick in the Bahamas is joining us at White Point on the first weekend in May (2015) for a Plover Celebration. We are also hoping that our little family will have returned just in time, their previous return dates were the end of April. Again, thank you for the informative article and making the plight of our little guys more well known. Wendy- thanks so much for your comments. Very exciting to hear your birds were spotted on their wintering grounds. That is a real success story, so kudos to you and the staff at White Point for helping keep them safe. Please keep us posted on this year’s events. 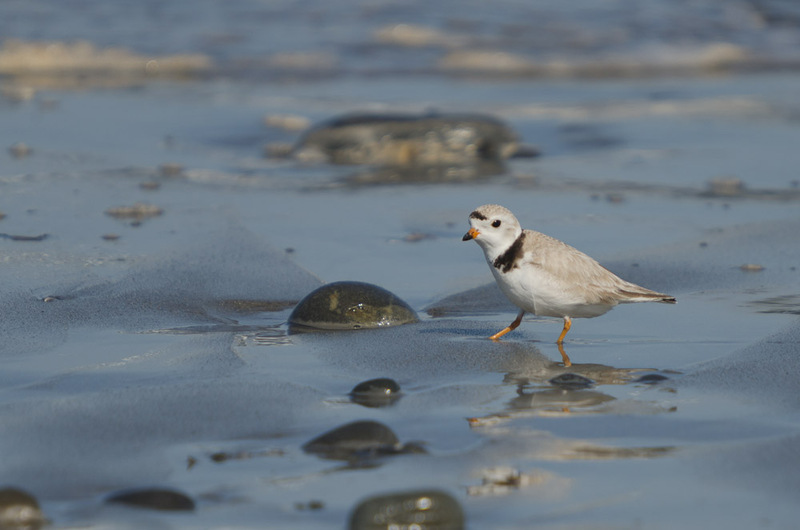 I coordinate Bird Studies Canada’s NS Piping Plover Conservation Program. I really enjoyed your piece and also share your appreciation for the plover foot shake while foraging – we call it “The Elvis”! Appreciate also how you shared info about signs and fencing, which we rely on to reduce threats to plover families. Plovers lay their four eggs on open, dry sand that both male and female must incubate for four weeks. Their chicks are flightless for an additional four weeks. We set up signs and rope to protect habitat around nests and reduce disturbances to nesting plovers and chicks by walkers and dogs off-leash. There are less than 200 pairs of Piping Plovers in Atl. Canada and Quebec – far less than the recovery goal of 310 pairs. 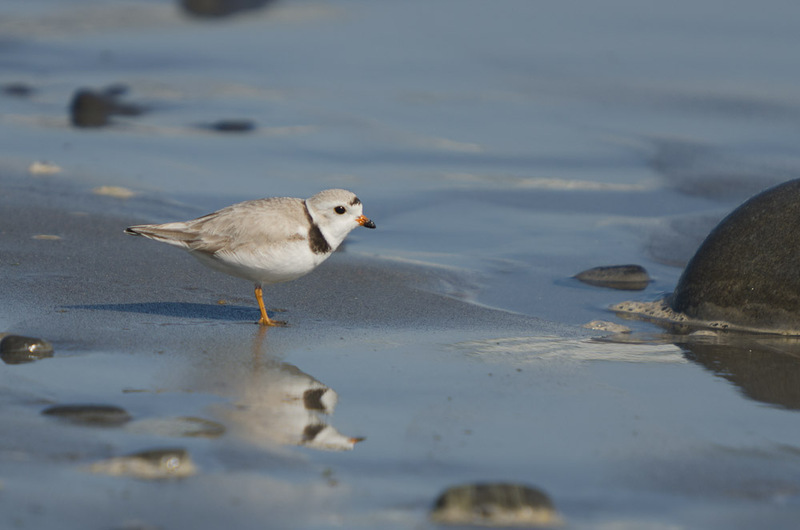 In Nova Scotia, we’re also short of our recovery goal (60 pairs), but the plover population has increased by over 30% since 2005 to 46 pairs in 2014. 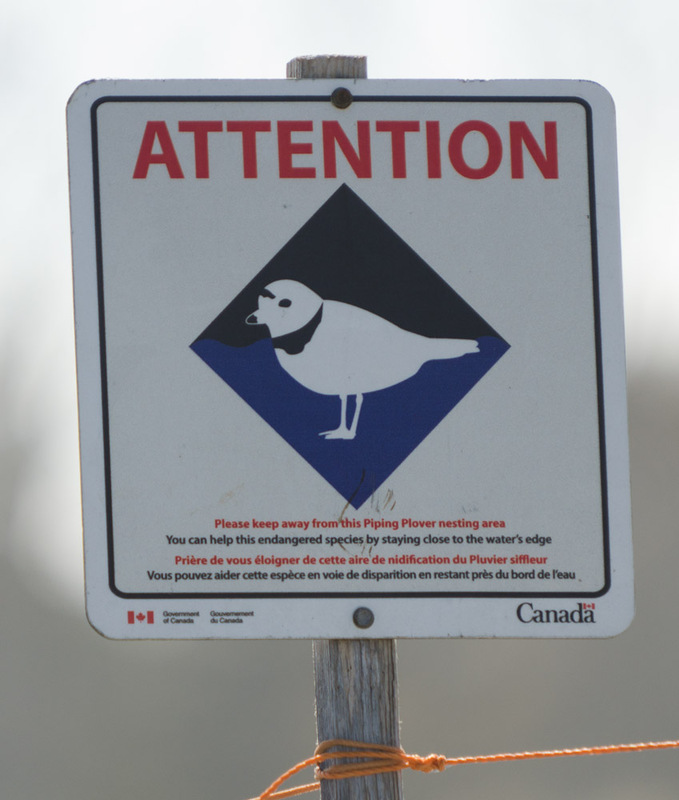 Everyone can help simply by doing what you did – respect signs marking nesting areas. 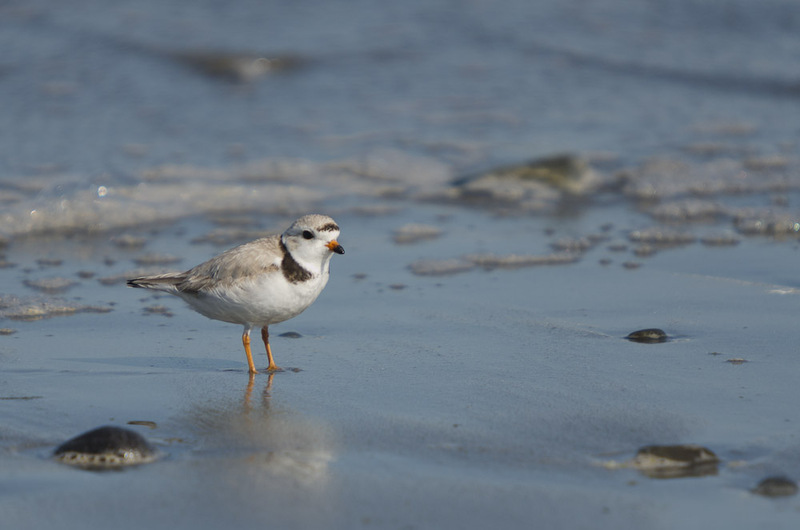 Landowners who take pride in protecting habitat for their nesting endangered Piping Plovers, like White Point Beach Resort, are also critical to recovery efforts. Thanks again! Sue- thanks so much for the information! Please keep us posted about the plovers’ progress this year.